Each year the Crawford County Commission on Aging (COA) sponsors several different classes and offers them free to older adults. Most classes are held at least once per year. Classes are taught by COA staff, certified volunteers and community partners like Michigan State University Extension. Click on the link below to learn more about each class. Contact the COA at (989) 348-7123 to inquire when the next class is scheduled. Matter of Balance is an 8-week structured group intervention that emphasizes practical strategies to reduce fear of falling and increase activity levels. Participants learn to view falls and fear of falling as controllable, set realistic goals to increase activity, change their environment to reduce fall risk factors, and exercise to increase strength and balance. Chronic Pain PATH is a 6-week workshop. It is designed to educate and empower individuals in management of chronic pain and maintain active and fulfilling lives. Chronic Pain PATH is helpful for anyone who is managing long term pain. Long-term means anything that a person managed for over 6 months, or beyond the usual time of healing. The Stress Less with Mindfulness 5 week series introduces participants to the experience and practice of mindfulness to reduce stress. Mindfulness can be defined as paying attention in a particular way: On purpose, in the present moment and non-judgmentally. 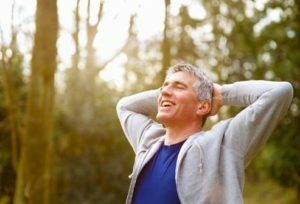 Research has shown that practicing mindfulness is effective in reducing stress-related symptoms such as worry, depression and physical tension, and may be helpful in managing chronic conditions such as cardiac disease and diabetes. By offering alternative ways of relating to everyday life experiences, including thoughts, emotions, physical sensations and events, this program teaches and encourages the use of mindfulness self-care skills to help you feel better and enjoy your life more. Walking regularly can help reduce many different types of chronic pain. Walk with Ease is a six-week, evidence-based program that includes: Safe walking indoors, discussion on osteoarthritis, rheumatoid arthritis, and fibromyalgia, managing pain and stiffness, tips on proper clothing and equipment, monitoring physical problems, what to do when exercise hurts, how to anticipate and overcome barriers, stretching and strengthening exercises. 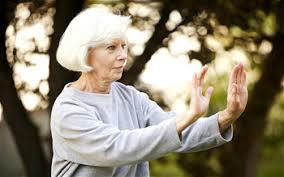 Developed by Dr. Paul Lam at the Tai Chi for Health Institute, the program utilizes Tai Chi’s Sun style for its ability to improve relaxation, balance and its ease of use for older adults. The movements are performed at a higher stance to make it easier for older participants and those with arthritis and are taught to both left and right sides and with turns to improve mobility. Powerful Tools for Caregivers gives you the skills to take care of yourself while caring for someone else. By taking care of your own health and well-being, you become a better caregiver. Six class sessions held once a week are led by experienced class leaders. Class participants are given The Caregiver Helpbook to accompany the class and provide additional caregiver resources. 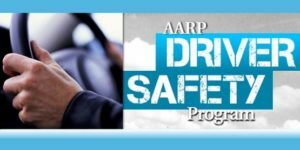 The nation’s first refresher course designed specifically for drivers age 50 and older, drivers learn research based safe driving strategies. In this 2 day class is information on the effects of medication on driving, measures to reduce driver distraction, proper use of safety belts and other equipment/technology used in cars today, and other subject.